"Here's How You Can Easily Boost The Profits From Your WordPress Blogs, By Turning Keywords In Your Articles Into Moneymaking Affiliate Links"
Do you want an EASY way to generate additional profits from your WordPress blogs? You probably already have ads in your blog's side bar and maybe even have some ads above and below your posts. But if you're not currently inserting affiliate links inside your blog articles, you could be missing out on a substantial chunk of your potential profits. Inserting links inside articles is the same sort of process used by popular information sites like Wikipedia.org. On Wikipedia.org, when there is additional information available for a specific word or phrase, that word or phrase is turned into a clickable link. When someone clicks on the link, a new page opens with additional information related to that word or phrase. Now with our powerful WP Link Pro software, you can apply the same strategy to boost the profits from your blogs, by selecting important words or phrases in your articles and turning them into links for suitable affiliate programs. 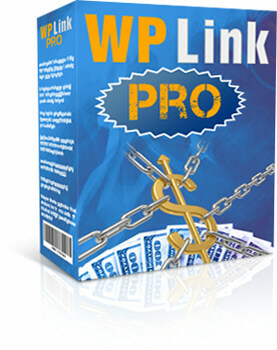 To use WP Link Pro, you simply find some affiliate programs for your niche and get an affiliate link for each one. You then choose suitable words or phrases that you want to link to each affiliate link (called "keywords") and enter them into WP Link Pro. The software will automatically update all your blog posts, turning every instance of your keywords into clickable affiliate links. This builds additional profit streams directly inside the articles on your blogs, which can substantially boost your income. 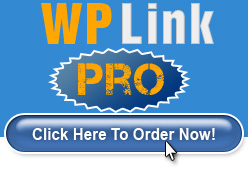 Using WP Link Pro is incredibly simple. Once you've activated the plugin, you can visit the Affiliate Keywords Settings option in your blog admin at any time, to enter (and update) your links. The keyword can be a single word or multiple words. You can enter an unlimited number of entries in the box (one per line). When you click the "Save" button, the entries are saved and automatically applied to all the blog posts and pages. You can change the keywords/links and other settings at any time - and all the posts will be automatically updated to use the new links and settings. When new posts/pages are added to the blog in future, they are automatically processed by the plugin, to include your keyword links. To protect your income and to hide the fact that you are using affiliate links from your visitors, the plugin automatically hides (or "cloaks") the links. This inserted link looks like a link to another post on your blog. But when a visitor clicks on the link, they will be redirected to your affiliate link automatically. The primary purpose of the plugin is to turn keywords into affiliate links. But it can also be used to turn keywords into links to other posts on the blog. This can be useful for Search Engine Optimization purposes, to boost the keyword ranking of specific posts. To use this option, just insert links that are on the same domain as the blog. Any links that are on the same domain as the blog will be treated as interlinks (not affiliate links). Interlinks open in the same browser window (whereas affiliate links open in a new window) and interlinks are not cloaked. If you are matching simple keywords, you often want to match both the single and the plural versions of the keyword. For example, you might want to match both "chocolate cookie" and "chocolate cookies". You can check a single checkbox to have all inserted links use "nofollow" (Nofollow relates to search engine optimization and is considered desirable by some SEO experts). If you use this option, only affiliate links are set to "nofollow" (interlinks are always set to "follow"). By default, links will be inserted so that they look the same as any existing links inside your articles. But you can change the appearance of the inserted links if you wish, applying bold and/or italic to them, and/or setting the link color. By default, every instance of each keyword will be turned into a link. In some cases, this can result in too many links being inserted into each blog post. To avoid this, you can limit the maximum number of links per keyword that can be inserted into any blog post. If you select "1", only the first instance of the keyword is turned into a link. If you select "2", only the first and last instances are turned into links. If you select "3" or more, the first and last instances are turned into links, with additional instances spaced evenly between them. You can also limit the maximum total number of links that can be inserted into any blog post. Inserting links in headings looks unsightly. To avoid this, the plugin does not alter any instances of keywords that are inside headings (ie inside HTML <h1>, <h2>, <h3>, <h4>, <h5>, <h6> tags). The plugin has its own "cache", which makes it very fast (if you already use one of the many available "cache plugins" on your blog, the WP Link Pro cache will work OK with it). The WP Link Pro WordPress plugin is licensed for use on an unlimited number of blogs, so you can use it on every blog you own, without paying any extra. Turning keywords into affiliate links is an easy way to substantially boost the income from your blog. WP Link Pro offers a very simple solution for doing this on any WordPress blog. Given the HUGE potential boost to your income, you might expect to pay a lot for this software. But, if you order today, you'll pay just $9.95 for your copy, including the rights to use it on as many blogs as you want. WP Post Bot Gold is a special software package that provides a selection of plugins for automatically creating and monetizing blog posts. It includes a "link injector" plugin, which is identical to the WP Link Pro plugin.